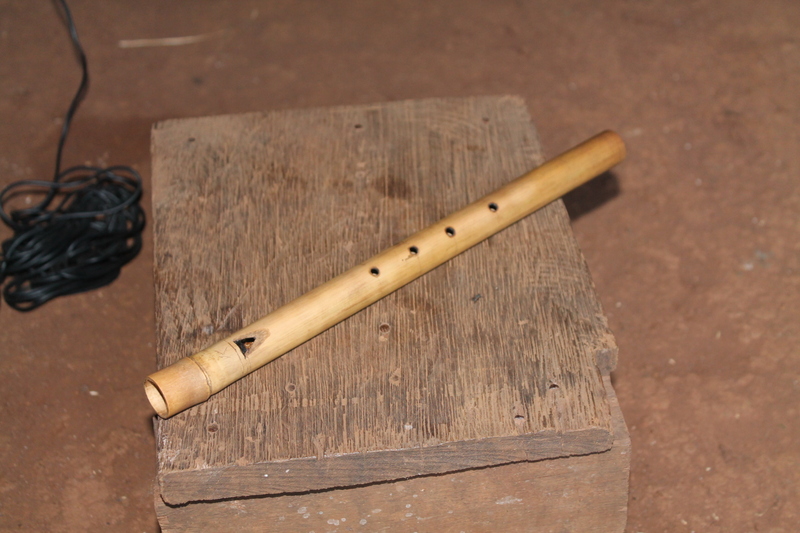 Rahome is produced from a bamboo stem. Its length is from 30-35 centimeters. Rahome can be played alone or played together with Kong Reng and Mapoartt. Bunong people have liked to use the Rahome since a long time ago. It can be played anywhere and at anytime. Bunong people are not required to perform a ceremony for Rahome before using it. It is used when people are free from their work especially for entertainment purpose and to sing a lullaby for a baby (when they are put down to sleep). It is also blown when Bunong people guard their rice farm from the birds, for parties and for rice ceremonies. 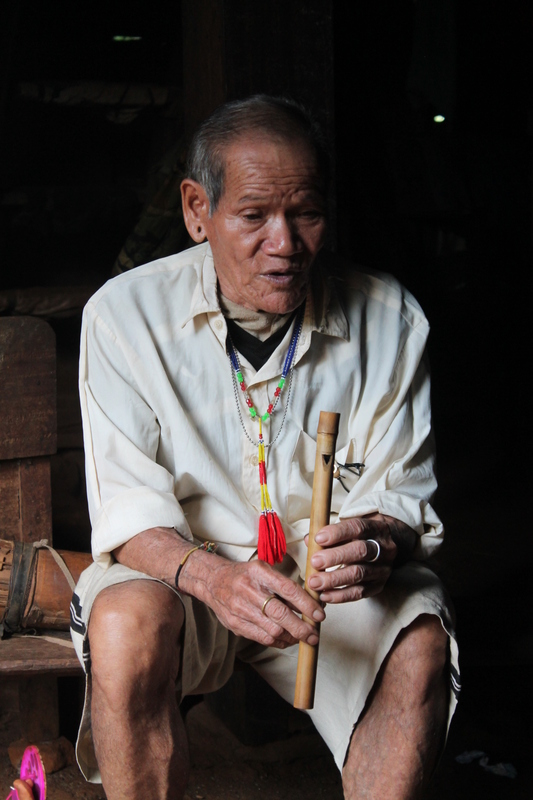 Bunong people also play the Rahome with the Tetavav song during their ceremony for happy new year and their ceremony for Nak Ta. Additionally, it is also blown when people go to visit the forest, catch fish, scooping up fish and especially when the women and men go for a walk. The Rahome can be played for two melodies. They are: sing a lullaby for a baby (when they are put down to sleep) and guard their rice farm from the birds.